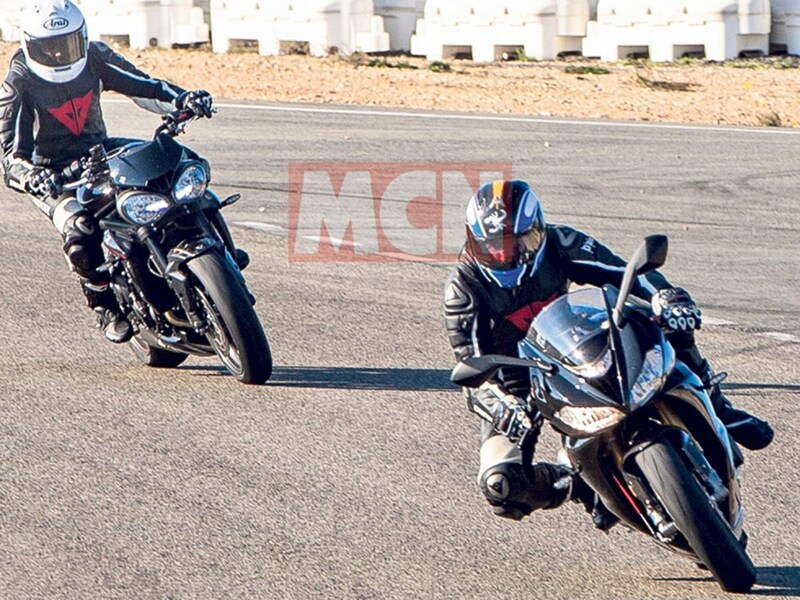 Triumph Daytona 765 Spied: Give us back our Daytona! 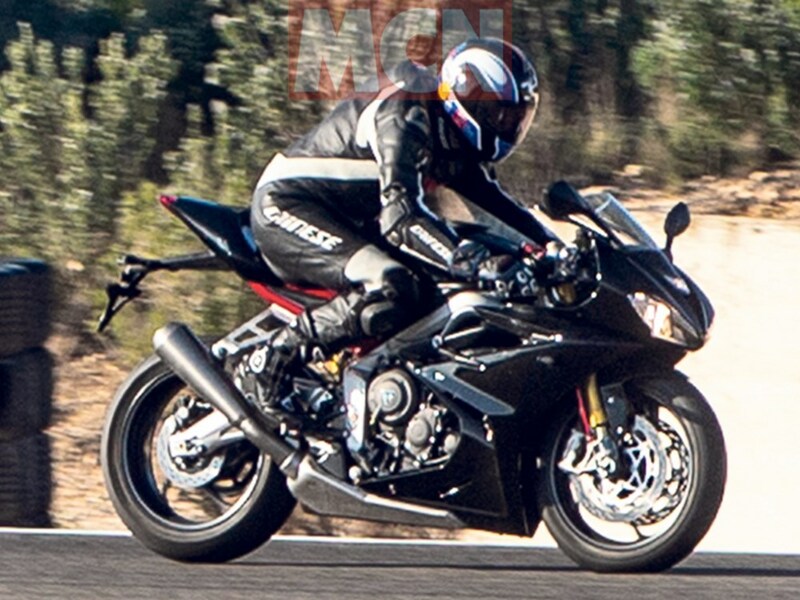 Thread: Triumph Daytona 765 Spied: Give us back our Daytona! Triumph discontinued the Daytona 675, introduced the new 765cc triple on the Street Triple and became a supplier for Moto2 engines which is the similar 765cc triple. All of that happened without any news of a new Daytona and Triumph clarified that there are no plans for a Daytona 765 in the near future. 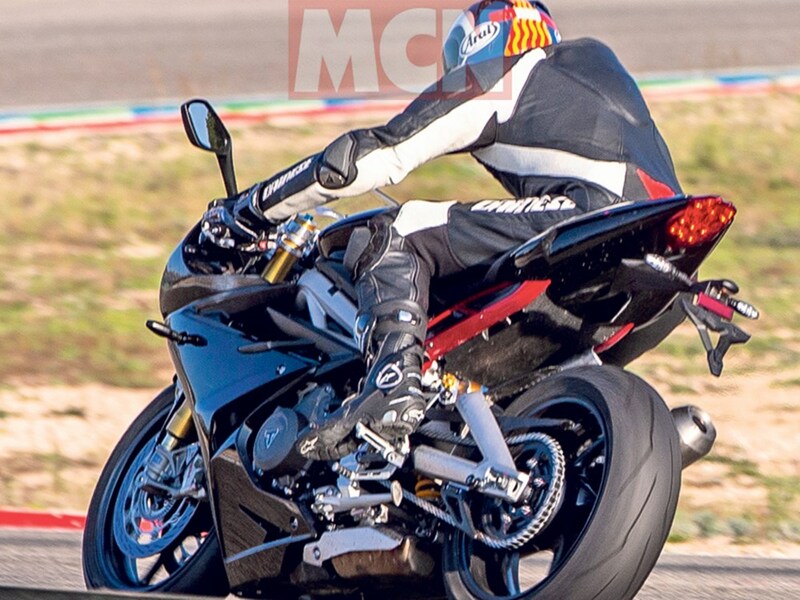 But… a new Daytona has been spied sporting the 765cc triple that is so loved all around the world. So, is it really coming back? The 765cc 3-cylinder unit was first debuted on the Street Triple and an evolved version of this engine will be used in Moto2 from this season onwards. Now, all these events triggered a lot of rumors that a new Daytona will also be born out of all this but, they have been rumors… until now. These pictures can be a proof that Triumph paid heed to the longing of millions of motorcyclists around the world that loved the Daytona. 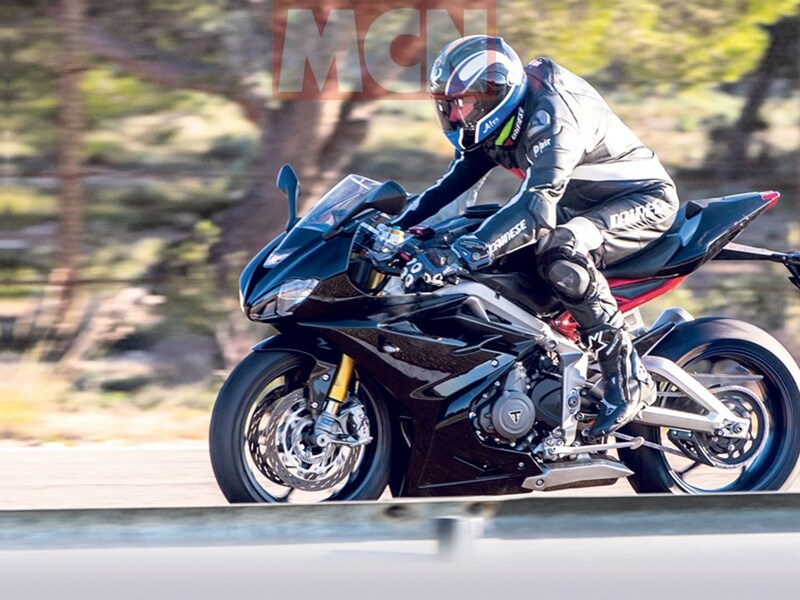 These photos were snapped in Spain last week and they feature what seems to be a high-spec Daytona 765. Now, this could mean that it can spawn a street bike bringing back our beloved Daytona or it might just be another one of the TFC (triumph Factory Custom) models like the Thruxton TFC. If it is the former, we would like the praise the motorcycling gods and if it is the latter, well, limited production and what not, it’s still a Daytona 765. The discontinuation of Daytona made a lot of motorcyclists shed some tears (in a quiet corner), the news of a new one being spied has generate a whole lot of interest. In 2017, Steve Sarge, Chief Product Officer, Triumph, “If we could prove the demand, then of course we’ll do it. With the excitement we have around Moto2, we would be foolish not to consider it as a possibility.” And right after the firm flatly denied the bike was already in development. And now, we guess that the demand has been proved. About the motorcycle itself, there is little doubt that what is seen in the pictures is surely a new model. But what’s apparent as well is that a lot of parts have been carried over from the previous Daytona. Most of the frame and swingarm is identical. The fairing is also not very different from the older model. What we are glad about being carried over is the bright red sub-frame which is a beacon for the motorcycle being the ‘R’ variant. And despite the similarities, the engine is clearly the 765 unit from the Street Triple. Another prediction would be to say that the engine will surely gain from the Triumph’s learnings from their Moto2 programme. Coming back to the motorcycle, the Öhlins fork and shock are visible which may very well the fully adjustable NIX30 unit (front fork) and the TTX unit (rear shock). Also making an appearance are the latest Stylema radial calipers from Brembo, which is sure a valuable addition considering the brilliant performance of the calipers. A fully-digital color TFT dash is almost a must and will most probably be a part of the package. The presence of multiple rider modes, a six-axis IMU for controlling the electronics which enables the use of Cornering ABS and such also seems likely considering these things have almost become a norm in high end motorcycles. A quick shifter was a part of the previous Daytona (R model) and thus we can surely expect a bi-directional quick shifter too. Now, the bike already seems delicious but, Triumph remain resolutely tight-lipped about this bike even existing, so there’s currently no confirmation available about when it might arrive, or how much it might cost. So everything stated above might seem like a pipe-dream but who knows… maybe Triumph will spring the news on us while Moto2 is kicked off on the 10th of March in Qatar! Last edited by NewsReaper; 02-09-2019 at 03:02 PM. MAVERICK_m21, bharatheshk, eliksir and 3 others like this. 3D Printed Triumph Daytona 675!